The DRE Milano E20 is a multi-speciality procedure chair with high-end features and modern styling. The chair is comfortable enough for lengthy, office-based procedures while providing clinicians with a sleek, elegant profile in their procedure suite. 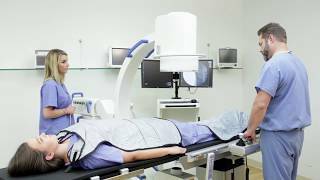 It also adapts well to a variety of care settings, including oral-maxillofacial, dermatology, and plastic and cosmetic. 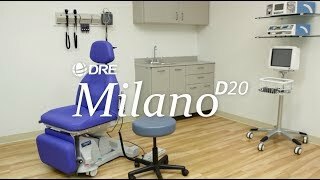 The DRE Milano E20 is the perfect choice for physicians seeking an affordable, sleek procedure chair with a small footprint. The Milano E20 is comfortable for both the operator and patient alike, and ideal for lengthy procedures. It is wider than traditional procedure chairs and offers easy access to people with mobility difficulties, thanks to its adjustable height (lowers to 20.5"/52 cm). Its physician-configured adjustments provide excellent visibility within the operative field. It includes a wide variety of power positions and a smart "auto return" feature. The chair will lay completely flat in a table position.